Well, that was fast! Popular YouTube personality Queen Naija just surprised her fans with big news on her latest video. She’s having a baby with her “friend” Clarence and she just got divorced four months ago. Queen built her following on YouTube by doing funny videos with her now ex-husband Chris Sails, and they split earlier this year after being married for years after he cheated on her multiple times. The couple, who have a young son together, divorced back in April. And after leaving Chris, Queen released a song called “Medicine” which has been doing fairly well on the radio and even charted on Billboard. Clarence played “Chris” in the video. In a recent interview with Ebro from Hot 97, Queen said she felt as though her ex-husband was jealous of her singing career, and she also refused to call Clarence her boyfriend at the time because she didn’t feel like he deserved that title just yet. The pair were so low-key to the point where people were saying Clarence didn’t want to claim Queen or vice versa. Well, now Queen wants the world to know who the new love of her life is. She took to YouTube, of course, to announce that they’re expecting their first child together. 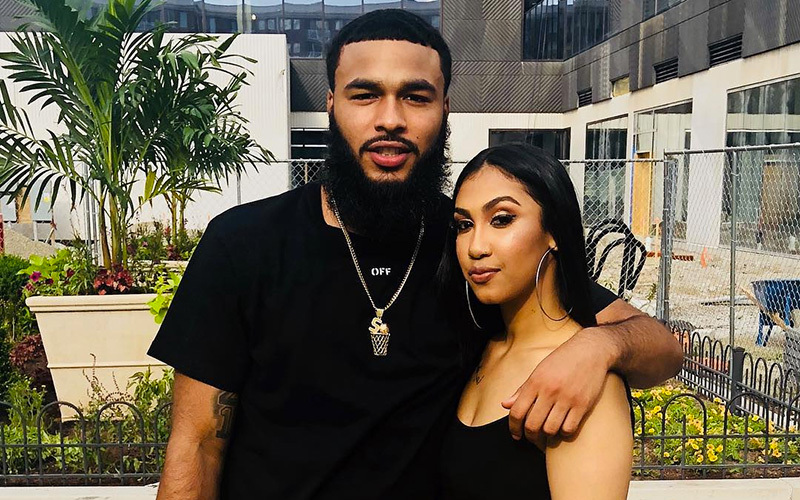 “There’s one more thing we don’t want to hide from you guys,” Queen Naija said in the video. “Because we would feel that it’s unfair and it’s not something that should be hidden.” She then said she would let the next clip do the talking, and the next clip was a video of an ultrasound scan.